Starts at 14 (that 2 PM). 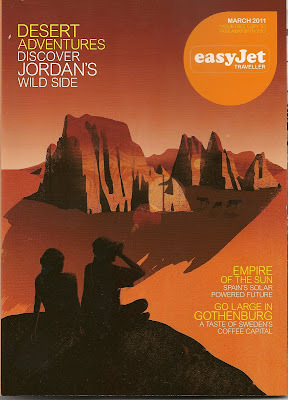 I was forwarded these scans of on-flight reading material for EasyJet flyers available to persons flying to Jordan. the Jordan army opened fire on Jerusalem and on the Jewish communities along side the border. Hundreds of shells fell on Jerusalem. In the late afternoon, the Jordanian troops conquered Armon Hanatziv, which was used as a UN base. Jordanian shells fell on Kibbutz Bet She'an and in Mishlosh, Kfar Saba, Kfar Sirkan, Lod, Ra'anana, Tel Baruch and Tel Aviv. b) Jordan was illegally occupying a portion of the former Palestine Mandate, including neighborhoods in the eastern section of the city. 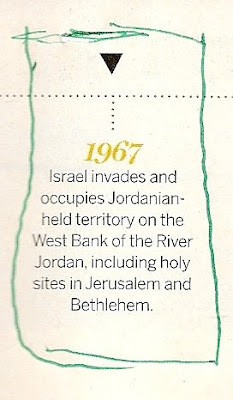 c) those "holy sites" also included those that Jordan prohibited Jews from visiting despite the terms of the cease-fire agreement signed in 1949. Never has religious freedom been more free than under Israel's sovereignty. GAZA CITY (Ma'an) -- The Gaza-based Palestinian Center for Human Rights released a statement of concern Tuesday, in the wake of the fall of several projectiles on a house and soft-drinks factory in the northern Strip, in which six civilians were injured. A report from the organization said it was the third home-made projectile to land on civilian property in Gaza in the past week, and called on government officials to investigate. 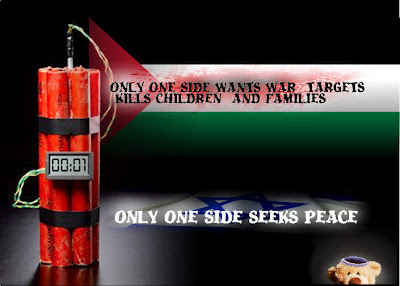 The group noted that "members of the Palestinian resistance continue to store explosives or to treat such explosives in locations close to populated areas," commenting that the practice "poses a major threat to the lives of the Palestinian civilians and constitutes a violation of both International Human Rights Law and the International Humanitarian Law." According to testimony, PCHR said that a projectile exploded in a house belonging to Ahmed Kheir al-Batsh, 62, in the As-Salam neighborhood in Jabaliya in the northern Gaza Strip, injuring a mother and son, who were both hospitalized for shrapnel wounds. A neighbor, Raed Johar al-Batsh, 35, sustained shrapnel wounds to the head as a result of the glass windows in his house shattering from the blast. The projectile penetrated the window in a room located in the western part of the second floor in the house. It exploded in the northern wall of the room causing a hole. The house was heavily damaged and the glass of the windows in three of the neighboring houses shattered. The report noted that a site used by members of one of the Palestinian factions is located to the southwest of Al-Batsh's house. Similar incidents were reported on 24 and 26 March, PCHR said. The First Annual Begin Marathon took place on Friday, March 4, 2011, with the participation of the mayor of Jerusalem, Mr. Nir Barkat. The route passed by significant locations in the life of Menachem Begin – the King David Hotel, the Underground Prisoners Museum, the Lions' Balcony in Zion Square, the Old Knesset Hall and the former Jerusalem Train Station. The run started and finished at the Menachem Begin Heritage Center. There were three Route Lengths: 6.5km – 8km – 16 km. Participation was free, but pre-registration was required at: http://www.realtiming.co.il/. Some girls make it difficult. You'd think the Arabs would know even their own history. 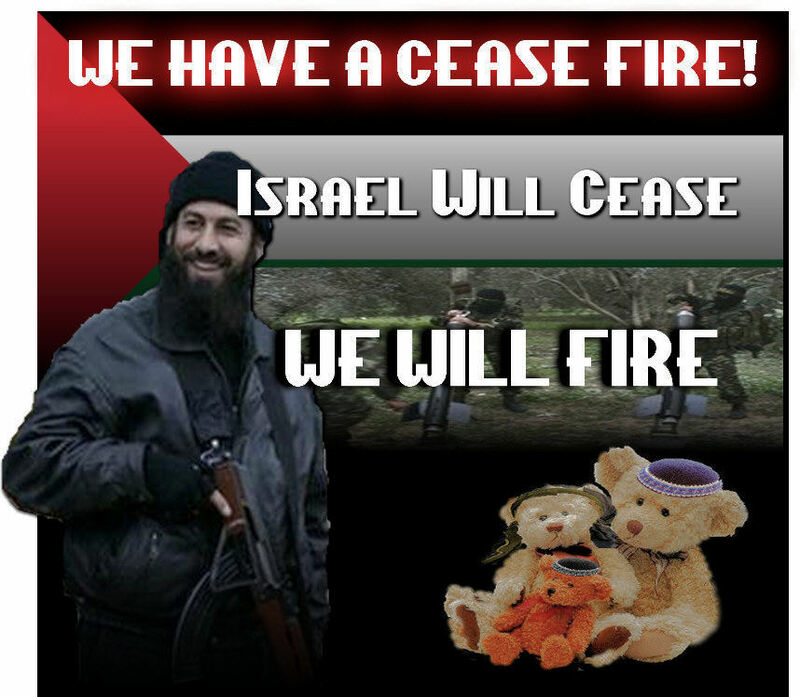 Their call for a Third Intifada is off, chronologically- speaking. The first was 1936 - 1939. Here. And here. The second was 1987 until it petered out, around 1993. The third was 2000 until 2005. Not only cannot they succeed through terror and violence to eradicate a Zionist presence in Eretz-Yisrael, begin in 1920 by the way but they cannot count. And they expect to be an independent entity with this type of math? If you demonstrate at the Shimon HaTzaddik neighborhood that you might refer to as Sheikh Jarrah, you can come early and identify as humanists with the memory of the slaughter by Arabs of over 70 Jews, all of them Hadassah Hospital workers who dispensed medicine and health services to Arabs up until their deaths. Meeting point is at Highway 1 at the corner of the Leonardo Hotel, formerly the Olive Tree. 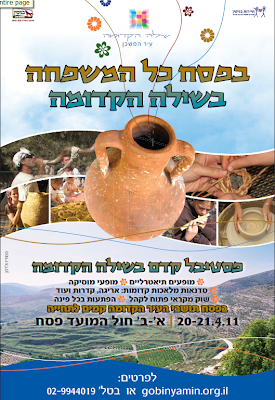 Eliada Bar-Shaul will act as guide. In Hebrew. 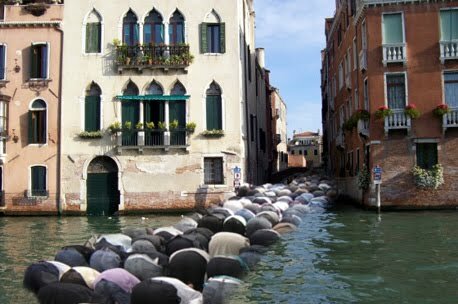 Yes, praying in the streets can be a problem at times. Anyone Going to this Conference on Al-Jazeera and Jihad? Cliff Kincaid, the nation's leading media critic of Al-Jazeera. Charles Ortel, Managing Partner of Newport Value Partners, L.L.C. First Amendment Lounge - 12-4:00 p.m. The activities of the Muslim Brotherhood in the U.S. and its influence on the Obama Administration. How Al-Jazeera television functions as a mouthpiece for the Muslim Brotherhood and a homeland security threat to the United States. 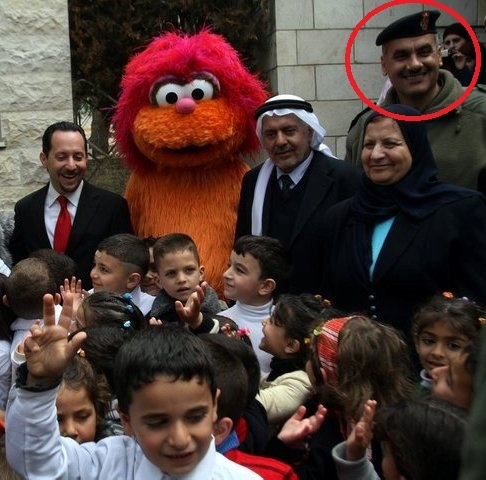 How American tax dollars are being funneled to Al-Jazeera. The involvement of Bill Ayers and Bernardine Dohrn in the Al-Jazeera- supported "International Solidarity Movement" in the Middle East. Open to the press and the public. Will Uncle Jay Take On Israel's Media Probelm, Or Has He? 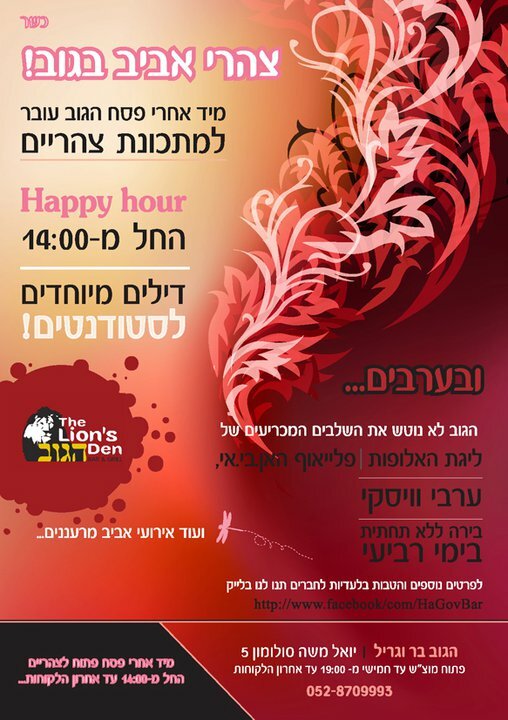 This week there is a "Festival of Flavors" taking place in Jerusalem. 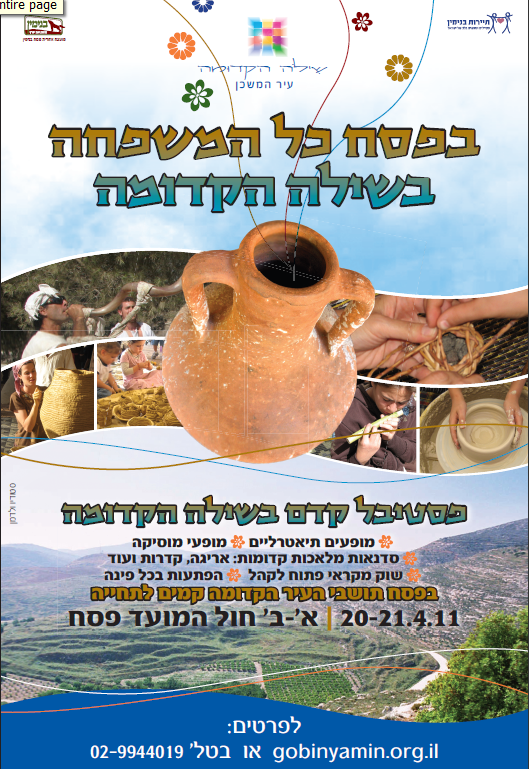 The Jerusalem Development Authority and the Jerusalem municipality invited the public to partake of an unprecedented culinary tourism event with the Old City Flavors Festival. For the first time ever, the gates of the four quarters of the Old City were opened in the evening and at night to reveal a wealth of unique, authentic restaurants along with music events, ethnic food markets, and arts and crafts fairs and workshops. The festival began on Sunday, March 27 and runs through Thursday, March 31, every evening between 18:00 and 23:00. But the religious and hareidi elements of the city's populace is very upset at what they see as official sponsorhsip of non-Kosher food. Bereaved families of victims killed in a suicide attack on Haifa's bus line 37 in 2003 are demanding that the interior minister revoke the citizenship of a man who aided the attack, in which 17 people were killed. A letter sent by 12 parents to Eli Yishai describes how Israeli Arab Munir Rajbi, who is serving a life sentence for his part in the attack, abetted terror. "He knew the city, the bus routes, and the lifestyles, and knew how to provide information necessary for those planning the attack," the parents wrote. "In the months beforehand he would go out on Fridays to pray at Temple Mount in Jerusalem and meet with his brothers, members of a Hamas terror cell from Hebron who were involved in planning the attack. There he also provided them with intelligence on possibilities and places to carry out an attack in Haifa." That's what some Arabs do on the Temple Mount. All chametz must be disposed of before this time [11:36AM]. Your remaining chametz need not all be burnt, but the final kezayit (olive’s worth) should be burnt. Most of your chametz can be disposed of by flushing it down the toilet, or placing it in a public garbage dumpster. A special dumpster for this purpose will be left in front of the Young Israel of Jamaica Estates on Monday morning from 6-11am. Ever Heard of the Battle of Uhud? Hind and her companions are said to have mutilated the Muslim corpses, cutting off their ears and noses and making the relics into anklets. Hind is reported to have cut open the corpse of Hamza, taking out his liver which she then attempted to eat. Abu Sufyan, after some brief verbal exchanges with Muhammad's companion, Umar (Umar ibn al-Khattab), decided to return to Mecca without pressing his advantage. Will They Discuss Matters With Me and My Colleagues? Palestinian National Authority President Mahmoud Abbas on Tuesday met consuls of Britain, France and Germany in the West Bank and discussed efforts to revive Israeli-Palestinian peace talks. Nabil Abu Rdineh, spokesman for Abbas, said that the participants discussed the upcoming meeting of the Quartet of Middle East peace mediators, which comprises the United States, the European Union, Russia and the United Nations, in the middle of April. They also talked about "the necessity to issue a statement from the Quartet contributing to creating a positive atmosphere on the level of peace process," Abu Rdineh said. So objective. so comprehensive. So willing to be even-handed and a fair partner. The picture that won a Pulizter Prize for the photographer? Well, she's # 8 at Cracked. As noted, the Knesset Interior Committee decided to discuss the issue of non-discriminatory entrance to the Temple Mount. An Israeli official says Israel is considering annexing major West Bank settlement blocs if the Palestinians unilaterally seek world recognition of a state. The official said Tuesday that Israel can respond to unilateral Palestinian action with one-sided acts of its own. ...The official spoke on condition of anonymity on Tuesday because no final decisions have been made. I'd prefer a less-than-anonymous source but in any case, as Menachem Begin would say, you can't annex what is yours. Extending sovereignty is what is needed. Will the Kabbalah Kutie Be Creamed? Madonna‘s “religion” and the main object of her charity giving, the Kabbalah Centre, is being investigated by the IRS. Sources tell me that a federal grand jury has been convened to ask questions about the organization...The targets of the investigation, sources tell me, are the Kabbalah Centre, Raising Malawi, and the Berg family–mother Karen and sons Yehuda and Michael, who own the company. Madonna, they say, is aware of the grand jury...In 2008-2009, she donated $2.5 million to them. Carly Sullivan of the US Attorney’s office in Manhattan said the office could neither confirm or deny anything about grand jury proceedings. More info & background here. Begin believed former Egyptian President Anwar Sadat was a true partner for peace – despite disagreements that arose during negotiations – and he felt he could agree to a withdrawal from Sinai because unlike Judea, Samaria, Gaza and Jerusalem, Sinai was not included in the mandate the League of Nations assigned to the British for a Jewish national home. Medad also reminded audience members that Begin supported Palestinian autonomy, but not statehood. Begin held out hope that a period of autonomy “would convince them that they’re better off with us,” said Medad. The Canards of "Occupation" and "Settlements"
...regardless of one's views on which people have greater title to Judea and Samaria, or the West Bank, it is a historically inaccurate distortion to claim that the occupation that breeds this type of violence. If this mantra were true, then it must be the case that before the occupation there was no violence. This defies the historical record. In 1929, the Jewish community of Hebron—which stretches back millennia, long before the creation of Islam and the Arab conquest and subsequent occupation of the area—was brutally attacked...This and other similar pogroms happened, not only before the "occupation" of Judea and Samaria, but even two decades before the state of Israel was reestablished. 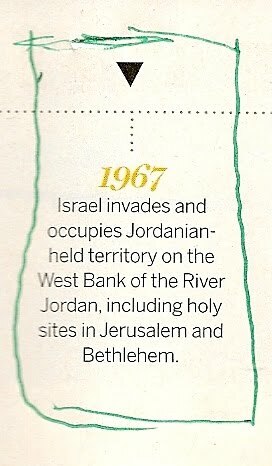 From 1948 to 1967, Judea and Samaria were illegally occupied by Jordan, which renamed the area the West Bank, in reference to the East Bank of the Kingdom of Jordan that fell beyond the Jordan River. Not one Israeli was allowed into this area, yet nor did Israel know one day of peace in that time, during which it saw brutal attacks launched from the West Bank against Israeli civilians. Further evidence against the mantra that the occupation breeds violence can be culled from Palestinian sources. Take Hamas's founding charter, for instance, which does not mention occupation or settlements. 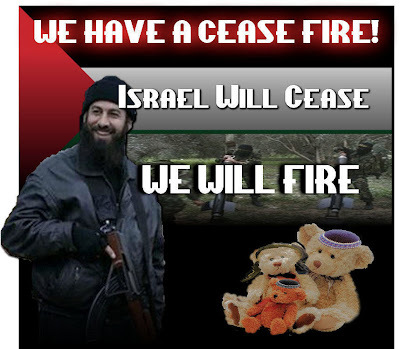 What is does contain are calls for the complete destruction of Israel, down to its last inch, such as: "Israel will exist and will continue to exist until Islam will obliterate it, just as it obliterated others before it." The charter goes even further, aspiring to a point in time when there will be no Jews left anywhere in the world. Meanwhile, the Palestine Liberation Organization, currently headed by President Mahmoud Abbas, notes in its founding charter that "this organization does not exercise any regional sovereignty over the West Bank," while still calling for a "liberation of its homeland." This was written in 1964, fully three years before Israel conquered the West Bank during the Six Day War. It's safe to say that the violence and terror visited upon Israelis has little connection to "occupation" or settlements. This myth has no historical foundation, but is easy to proclaim for those who have little understanding of the conflict. Yet these fatuous canards only make our conflict harder to solve. It really is quite easy once you know the historical truth and apply logic. 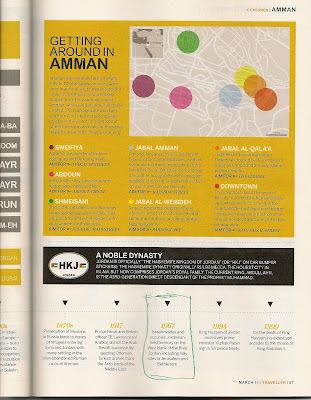 The Smithsonian Magazine includes this month a great article on the current situation regarding the Temple Mount. What is Beneath the Temple Mount? The statement of Natsheh, the Waqf’s chief archaeologist, who dismisses Barkay’s finds because they were not found in situ, in their original archaeological layers in the ground is a bit odd. After all, it was the Waqf that (a) removed the soil from the compound; (b) did so without any pretense at preserving the value of the site; (c) prohibits any archaeological digs; and (d) himself part of the "Temple-Denial" approach of all official Palestinian Authority bodies, which would make him an involved subjective participant. Would that be tolerated anywhere else? 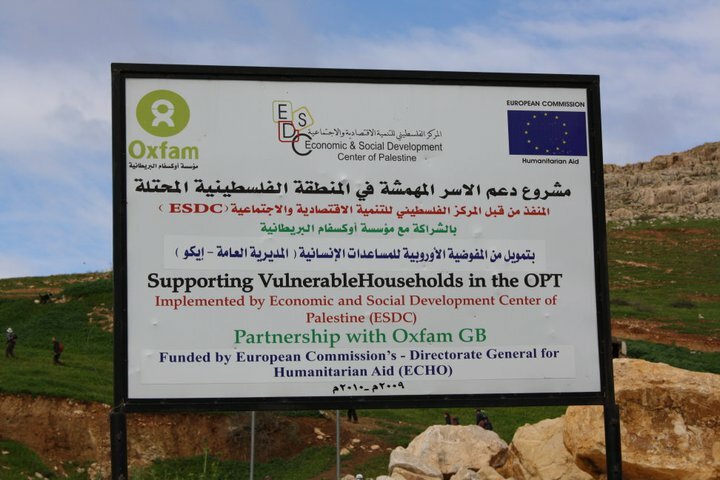 Until recently, Palestinians generally acknowledged that the Beit Hamikdash existed. A 1929 publication, A Brief Guide to the Haram al-Sharif, written by Waqf historian Aref al Aref, declares that the Mount’s “identity with the site of Solomon’s temple is beyond dispute. This too is the spot, according to universal belief, on which David built there an altar unto the Lord, and offered burnt and peace offerings.” But in recent decades, amid the intensifying quarrel over the sovereignty of East Jerusalem, a growing number of Palestinian officials and academics have voiced doubts. “I will not allow it to be written of me that I have...confirmed the existence of the so-called Temple beneath the Mount,” Palestinian leader Yasir Arafat told President Bill Clinton at the Camp David peace talks in 2000. Arafat suggested the site of the Temple Mount might have been in the West Bank town of Nablus, known as Shechem in ancient times. Five years after the Camp David talks, Barkay’s sifting project turned up a lump of black clay with a seal impression inscribed with the name, in ancient Hebrew, “[Gea]lyahu [son of] Immer.” In the Book of Jeremiah, a son of Immer—Pashur—is identified as chief administrator of the First Temple. Barkay suggests that the seal’s owner could have been Pashur’s brother. If so, it’s a “significant find,” he says—the first Hebrew inscription from the First Temple period to be found on the Mount itself. And if you want to sift, go here for info. Photos of inds from the dirt removed can be viewed here. processes involved with and the use of the Main Roads Survey and Mapping Standard 67/08/108 "Settlement Monitoring". Settlement Monitoring surveys are performed to determine the degree of horizontal and vertical displacement of structures, pavements and embankments over a defined period. Severe pavement damage and structural failure can be a direct result of settlement (*) and therefore it is critical that movement outside the design tolerances are detected and measured. ...This activity is performed on road where experience has shown that pavement could be subject to excessive movement as a result of the road location, its foundations, amount of traffic and other factors which may now be different from those which the road was designed for. The need to monitor pavement may also develop with time, as factors such as climate change, water table variations, traffic density changes, soil compaction, changes in soil foundation type, all take effect. I guess we aren't the only ones being monitored. Foundations for buildings are generally designed based on the ground conditions which are obtained from a sub soil investigation (soil mechanics) The criteria obtained from a soil investigation will detirmine the type of foundations to be used for a particular building. In many cases it is known that once constructed a building will "settle" on it's foundations or rather the foundations settle with the loads now imposed by the structure. This may only be a matter inches but to check that the settlement is in accordance with the designed assumtions this can be checked at regular intervals which is called monitoring. And here's the real stuff. For those new at my blog, among other interests, I amm fascinated by the "wall poster" media of the Hareidi community. They are known as pashk'villim and announce warnings related to behavior and moral practice and deall with bans, excommunications, deaths, and other news. Joseph Lelyveld has written a ­generally admiring book about ­Mohandas Gandhi, the man credited with leading India to independence from Britain in 1947. Yet "Great Soul" also obligingly gives readers more than enough information to discern that he was a sexual weirdo, a political incompetent and a fanatical faddist—one who was often downright cruel to those around him. Gandhi was therefore the archetypal 20th-century progressive ­intellectual, professing his love for ­mankind as a concept while actually ­despising people as individuals. ...Gandhi's uncanny ability to irritate and frustrate the leader of India's 90 million Muslims, Muhammad Ali Jinnah (whom he called "a maniac"), wrecked any hope of early independence. He equally alienated B.R. Ambedkar, who spoke for the country's 55 million Untouchables (the lowest caste of Hindus, whose very touch was thought to defile the four higher classes). Ambedkar pronounced Gandhi "devious and untrustworthy." Between 1900 and 1922, Gandhi ­suspended his efforts no fewer than three times, leaving in the lurch more than 15,000 supporters who had gone to jail for the cause. A ceaseless self-promoter, Gandhi bought up the entire first edition of his first, hagiographical biography to send to people and ensure a reprint. Yet we cannot be certain that he really made all the pronouncements attributed to him, since, according to Mr. Lelyveld, Gandhi insisted that journalists file "not the words that had actually come from his mouth but a version he ­authorized after his sometimes heavy editing of the transcripts." We do know for certain that he ­advised the Czechs and Jews to adopt nonviolence toward the Nazis, saying that "a single Jew standing up and ­refusing to bow to Hitler's decrees" might be enough "to melt Hitler's heart." (Nonviolence, in Gandhi's view, would apparently have also worked for the Chinese against the Japanese ­invaders.) Starting a letter to Adolf ­Hitler with the words "My friend," Gandhi egotistically asked: "Will you listen to the appeal of one who has ­deliberately shunned the method of war not without considerable success?" He advised the Jews of Palestine to "rely on the goodwill of the Arabs" and wait for a Jewish state "till Arab ­opinion is ripe for it." ... the love of his life was a German-Jewish architect and bodybuilder, Hermann Kallenbach, for whom Gandhi left his wife in 1908. "Your portrait (the only one) stands on my mantelpiece in my bedroom," he wrote to Kallenbach. The vast majority of U.S.-Canada trade occurs seamlessly and without need for government intervention. Given the size of the trade relationship, it is not surprising that some areas of dispute arise between the governments and citizens of the two countries. If these disputes cannot be settled through bilateral negotiations, there is recourse though the NAFTA and the WTO to deal with complaints by governments, businesses and investors. When disputes occur, NAFTA directs those concerned to try to resolve their differences first through consultation. If no mutually acceptable solution is found, NAFTA provides for specific formal mechanisms. For example, Chapter 11 of the NAFTA provides a process to deal with complaints of investors who feel they have been treated unfairly by NAFTA Member states. For more information on the status of Chapter 11 investor-state arbitration, click here. The news is that Jerusalem American Consul General Daniel Rubinstein joined Palestinian women and their children on March 24 to celebrate Palestinian Mother’s Day at the Salfeet Women’s Charity. The event featured presentations by local children and a special performance by the Palestinian Shara’a Simsim (Sesame Street) muppets, Karim and Hanin. He really did. 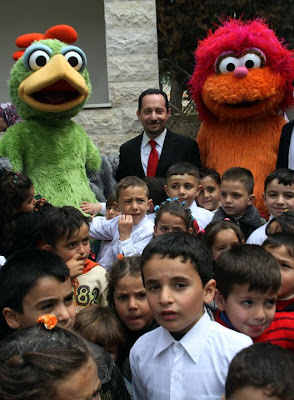 Shar’a Simsim, the Palestinian version of Sesame Street, is produced by the Ramallah-based PenMedia, with support from the American people through the U.S. Agency for International Development. But I'd really like to know who the gentleman at the right is and what is his rank and in what service unit does he serve? Anyone know that guy I've circled in red? I hope he wasn't one of the security personnel that organized a visit to mothers of terrorists. Last night, I shared the podium with Minister Yuli Edelstein. Join Minister of Public Affairs and Diplomacy Yuli Edelstein (Likud), who will be giving the keynot...e address, in celebrating the life and deeds of the late Prime Minister Menachem Begin. Keynote Address: Minister of Public Diplomacy & Diaspora Affairs Yuli Edelstein. Featured Speaker: Yisrael Medad of the Begin Center, editor of the new book "Peace in the Making: The Begin-Sadat Personal Correspondence" (Gefen 2011). Admission: 10 NIS Kindly RSVP, space is limited: info@likudanglos.org.il / 052-664-6517 (Rachel). ***VIP RECEPTION at 6:30 p.m. with the Minister and refreshments, 50 NIS inclusive (RSVP REQUIRED). At the reception the Minister will be able to take your questions. Hamas security personnel raid offices of media organizations, including Reuters and CNN, confiscate equipment and documents. A number of Palestinian women journalists complained on Sunday that they had been beaten and tortured by Hamas security forces in the Gaza Strip. They said the assaults occurred in recent days when they and their colleagues tried to cover pro-unity rallies in different parts of the Gaza Strip. Finally, those Pals. are imitating their revolting (pun) brethren. 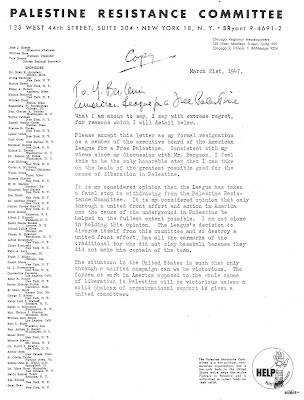 Here is an archival document of the US Palestine Resistance Committee from 1947. The "resistance" then, of course, was that undertaken by the armed underground forces of the Irgun and the Lechi. In September 1939, despite Hagana and Irgun attacks against the British Mandatory regime in Mandate Palestine following the publication of the White Paper policy statrement that, in effect, subverted the decision of the Leasgue of Nations to reconstitute the Jewish national home, a cease-fire was declared. This was due to the outbreak of World War II when both Jabotinsky and Ben-Gurion decided that the war in Europe deserved primary attention. Avraham Stern broke away in June 1940 to continue the war for liberation and with Menachem Begin's arrival, the Irgun launched its revolt in February 1944. For a short period between late October 1945 and July 1946, the Hagana joined the urban guerilla campaign and the United Hebrew Resistance was formed. 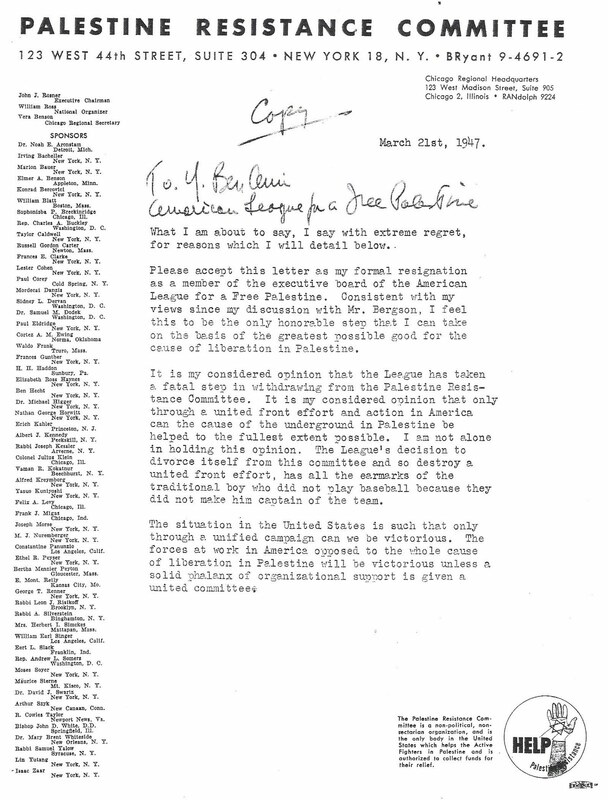 The document deals with the resignation of an activist who felt that the main Bergson group, the American League for a Free Palestine, should be devoting more energy and participation and support for the actual armed operations in the Palestine Mandate against the British occcupation. When "Palestine" was Jewish through and through. 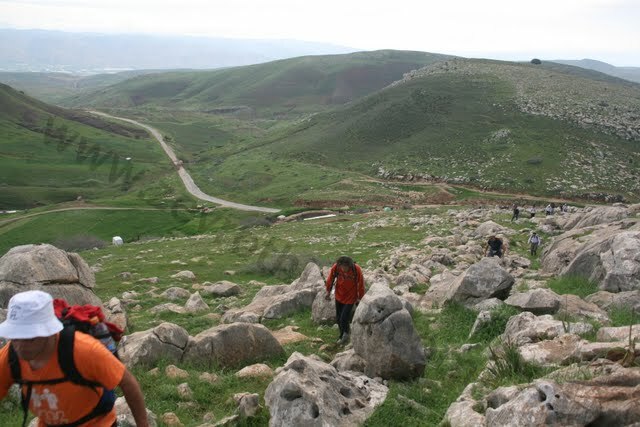 Amira Hass writes of her concern for the forces arrayed against an Arab activist who leads the protests at Nebi Salah which is the village neighboring Neveh Tzuf. I will not go into the rights and wrongs this time but will illustrate how easy it is to lie in the media, by a media person. Huge quantities of tear gas, rubber-coated bullets flying between buildings, gas canisters with (illegally ) extended ranges, beatings, shovings and home invasions - this is what the Israel Defense Forces employs against the small village of 500. "Small David" did she mean? Or, as we all know, hundreds of outsiders - Israeli anarchists, Gush Shalom persons, internationalists, Fatah activists, etc. - all come for the "campaign". Just check out the video clips\ and here. I know. You can dismiss that as "big deal". But I see it as creeping propaganda. A little lie. A small perversion of the truth. It all adds up. VACAVILLE, Calif. (AP) — A Northern California man who went outside to retrieve a newspaper from his driveway Sunday morning was injured when a device hidden inside the paper exploded, authorities said. The blast at around 10:20 a.m. forced the evacuation of about 50 surrounding homes in Vacaville, which is located between San Francisco and Sacramento. The man’s daughter-in-law, Sharon Sanchez, told KGO-TV that he had cooked breakfast and was waiting for family to arrive when he walked out to get the paper. It wasn’t clear if the man was the target of the device, or if the explosion was a result of a random attack, Vacaville city spokesman Mark Mazzaferro said. The man, who authorities haven’t identified, was airlifted to the University of California, Davis Medical Center. The extent of his injuries was unknown. To remind those who prefer to be critical, here at Shiloh, we attempted to create a framework of coexistence with nearby Arab residents of Turmos Aya. The approach from behind was blocked and coming from the corner, one needed to step into the street. We want borders that permit an expression to the link of the Jewish people with its historic land. Did Netanyahu Announce More Settlements? "Russian Ambassador Pyotr Stegny and members of the Russian delegation, Russian Federal Space Agency Head Anatoly Perminov and Science and Technology Minister Daniel Hershovitz, greetings. I had excellent talks in Moscow with both President Dmitry Medvedev and Prime Minister Vladimir Putin. In my talks with the latter, we agreed to increase cooperation in space, which now finds practical expression in the signing of this agreement. What Minister Hershkovitz said is the truth. One year ago, I told him that I thought that Israel's most natural partner for cooperation is Russia, which has a major infrastructure for space operations. We have focused technology, including – I believe – six satellites in space. Soon we will have a dozen. In her "How to Tell that Pro-Palestinian Activists Don’t Care About Palestinians"
So for all those who demonstrated in support of the Gazans when they were trapped under Israeli fire, all those planners of past and future flotillas, this is your moment to raise your voices and say clearly: The Qassams merely feed Israel’s madness. It is not the Qassams that will ensure the Palestinians, both in and out of Gaza, a life of dignity. 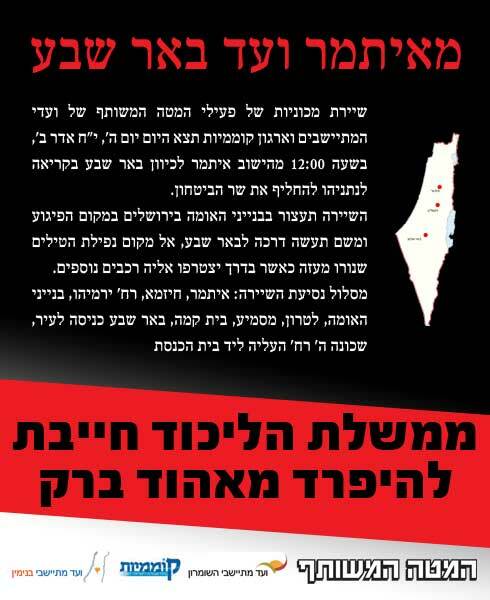 It is not the Qassams that will topple the Israeli walls around the world’s largest prison camp. But will other pro-Palestinian activists take her up? I wouldn’t hold my breath. I for sure won't either. 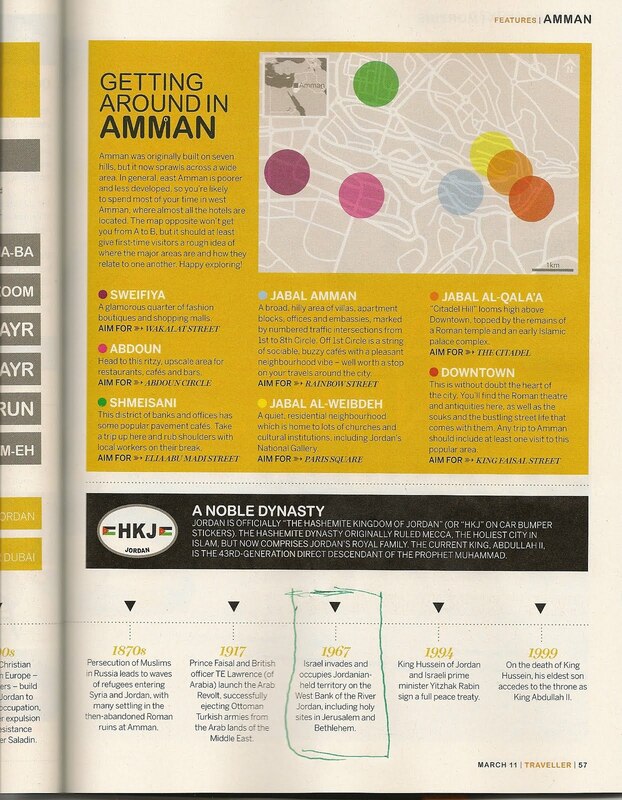 The area is just east of Tubbas down to the Lower Jordan Valley. It is ironic that Arabs are fighting for freedom across the region, but the Palestinians continue to tolerate a leadership that denies them freedom of speech, religion, assembly, and the press and denies rights to women and gays. The Obama administration continues to support a Palestinian regime that is no less ruthless and undemocratic than those we are now opposing throughout the region. It is time for the United States to demand that the Palestinians implement democratic reforms and put an end to the culture of incitement that leads to the horrific murder of Jewish children and their parents in their beds, attacks on public buses and rocket attacks on playgrounds and kindergartens. International tolerance of this behavior over the years has given Palestinians reason to believe terror is the way to achieve their goals. ...The president should be clear and unequivocal, something he has had trouble doing both with the Israel-Palestinian conflict and the turmoil in the rest of the region. He should declare that the obstacle to peace is a Palestinian leadership that is undemocratic and represses its people, that refuses to compromise or negotiate, that is unwilling to recognize Israel’s right to exist as a Jewish democratic state and that engages in incitement and terror that is perpetuating the conflict. Like the other despotic leaders in the region, they must either change or they must go. That seems to be a very good idea. As long as Hamas, like its counter in Egypt, the Muslim Brotherhood, doesn't majke a grab in a period of political vacumm. Please note not all names for prayers are the Halachic names but what is known. Odelia Nechama bat Michal - suffered serious head injuries and is in intensive care. Her life is still in danger. Natan Daniel ben Shulamit - a 17-year-old student who is in serious condition. He suffered massive internal injuries and has had a number of internal organs removed. David Amoyal - David is the owner of the snack stand next to the bus stop. He told everyone to run away and then called the police, and was on the phone with them when the bomb exploded. He suffered injuries to his legs and feet and lower body. He is in moderate condition. Sasson ben Shulamit - This is the second time Sasson has been injured in a terrorist attack in Jerusalem. He suffered lower body injuries and serious post-traumatic symptoms. Ad Shapira - Ad is 18 years old and just about to complete high school. She suffered light orthopedic injuries and is in good condition in hospital. Shilo ben Ofra - Shilo is 15 years old, and suffered burns and fractures to his legs and lower abdomen. He is sedated in intensive care. Daniel ben Nurit - Daniel is 13 years old, and suffered lacerations and shrapnel injuries to his lower extremities, and is likely to be released from the hospital before Shabbat. Elchanan ben Alona - Elchanan is 14 years old, and suffered serious injuries to his feet. One ankle and three of his toes were crushed. He has had one operation and will require more surgery. He will likely be in the hospital at least 2-3 weeks. 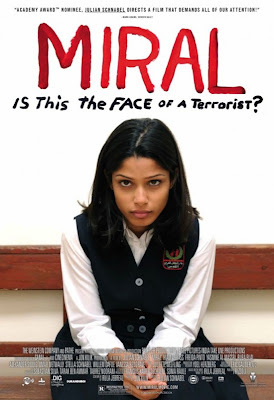 Leah Bracha bat Shoshana Batya – is a 19-year-old seminary student. She suffered burns to her legs and arms as well as serious shock. Please visit OneFamily’s website at http://www.onefamilyfund.org/ for more updates on the injured victims of this week’s attacks. Elizabeth Taylor seems to have been Jewish until the end. "Elizabeth Taylor was laid to rest this afternoon at a small private funeral service attended by family and close friends in The Great Mausoleum at Forest Lawn-Glendale. The service was scheduled to begin at 2 PM but at Miss Taylor's request started late. Miss Taylor had left instructions that it was to begin at least 15 minutes later than publicly scheduled, with the announcement, 'She even wanted to be late for her own funeral,'" a statement from the late actress' rep to Access Hollywood read. Please mark your calendars and plan to join us LIVE on Tuesday, April 5th (Rosh Chodesh Nissan 5771) from 2pm - 8pm Jerusalem time for this very special program! The 2nd Annual International Temple Mount Awareness Day Program will be brought to you (and the world!) in live streaming video courtesy of BE THERE ISRAEL Live Streaming Video Services! On April 5th 2011 - which is Rosh Chodesh Nissan 5771 - we'll be broadcasting a live 6-hour show beginning at 2pm Jerusalem time until 8pm Jerusalem time - celebrating the SECOND ANNUAL TEMPLE MOUNT AWARENESS DAY featuring special guests Rabbi Chaim Richman and Yitzchak Reuven. The Holy Temple - Har HaBayet, the Temple Mount - is the focus of the show, and how appropriate to focus on the things of the Holy Temple on Rosh Chodesh Nissan as it was on that day that Moses erected the Tabernacle, the day the Divine Service began, the day that 10 crowns descended upon Israel, the day that G-d's Presence rested on Earth, the day that Israel's offerings were accepted by Heaven! Rabbi Chaim Richman is the Director of the Temple Institute's International Department and the world's leading English-language expert on the Holy Temple. He will be sharing special Torah teachings all about the Temple's building, service, history, dimensions, inner meanings, past and future! I'll be on at 4PM local Israel time. A bombing on Wednesday killed a British tourist in Jerusalem, and earlier this month five members of an Israeli family were slain while they slept in a West Bank settlement. Both attacks appeared to be the work of Palestinian militants. A media and academia problem. (*) My new term for the langauge and the terms the media has adopted to avoid all pretense of possibly accusing Arabs of the former territory of the British Mandate of Palestine of being and doing what the actually are and do. The word Pali means "the Text", though it has now come to be the name of a language. Magadhi was the original name for Pali. It was the language current in the land of Magadha during the time of the Buddha. The elements of Pali can be mastered in a few months, Pali opens one's ears to the Dhamma and the music of the Buddha's speech. This little book on Pali is intended to be an elementary guide for beginners. The recording from the emergency police alert line when the bomb went off Wednesday. The BBC just can't bring itself to release itself from the Orwellian formula. A British woman who died when a bomb exploded at a crowded bus stop in Jerusalem on Wednesday has been named by the Israeli Foreign Ministry. 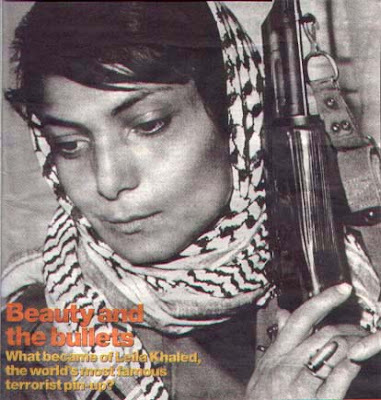 Mary Jean Gardner, a 59-year-old British national, was studying at the Hebrew University in Jerusalem. ...UK Foreign Secretary William Hague told MPs the attack had been a "shocking and despicable act of terrorism". Ms Gardner, an evangelical Christian and bible translator, leaves behind her parents who live in Orkney, according to the Press Association...she worked for Wycliffe Bible Translators...in Togo since 1989 where she was part of a team translating the New Testament into a language called Ife..."She was in Israel for six months studying Hebrew in order to go back to Togo to translate the Old Testament. There's hope, though. The Foreign Minister uses language as it should be used. On March 25 and March 26, 2011, University of California Hastings College of the Law is officially co-sponsoring and funding a conference entitled "Litigating Palestine: Can Courts Secure Palestinian Rights." The conference is listed on Hastings' official website, and you, in fact, are opening the conference by welcoming the participants. It is, of course, completely within the purview of Hastings College of the Law to examine lawfare as it pertains to the Israeli-Arab conflict. However, the authorized description of this event makes it clear that conference participants will be advocating for one side of the conflict, the Arab side, and seeking to exploit Western courts in order to agitate against Jews and the Jewish state through anti-Israel lawfare. (*) This is not only a misuse of the name and resources of the University of California for political and partisan purposes, it is also ethically and morally reprehensible. Moreover, we believe that this event fits within the Working Definition of Anti-Semitism issued by the European Monitoring Centre on Racism and Xenophobia (EUMC), endorsed by the U.S. State Department in its Reports on Global Anti-Semitism, and used as well by the U.S. Commission on Civil Rights in its examination of campus anti-Semitism. As the U.S. Commission on Civil Rights has observed, "Anti-Semitic bigotry is no less morally deplorable when camouflaged as anti-Israelism or anti-Zionism." 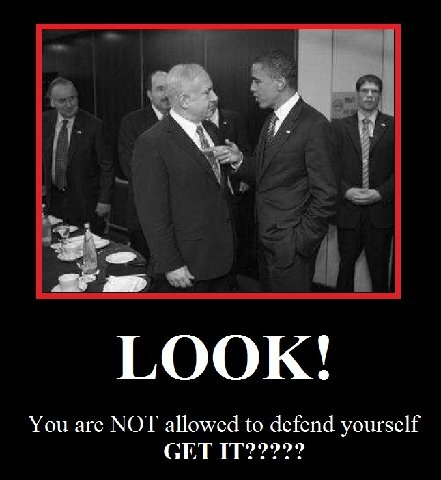 - Applying double standards by requiring of Israel behavior not expected or demanded of any other democratic nation. The Trans-Arab Research Institute, which is the sponsoring organization, has stated that part of its mission is the elimination of the Jewish state. Several of its board members are affiliated with the anti-Israel Boycott, Divestment and Sanctions campaign and serve as some of its leaders. In addition, more than half of the speakers at the event are also affiliated with the anti-Israel Boycott, Divestment and Sanctions campaigns, and at least one talk will be devoted to finding legal strategies for defending these campaigns. This leaves no doubt that the conference was organized for the purpose of harming the Jewish State. Your law school has provided funding and is therefore complicit in this effort. The heads of sixty Jewish organizations -- including the Anti-Defamation League, the Conference of Presidents of Major Jewish Organizations, Bnai Brith, Hillel, the Simon Wiesenthal Center, the Reform, Conservative, and Orthodox movements, both Democratic and Republican supporters, as well as organizations from Mexico, Australia, Belgium and the United Kingdom -- have recently signed a statement identifying Boycott, Divestment and Sanctions Campaigns against Israel as "part of a greater effort to undermine the Jewish people's right to self-determination in their homeland, Israel." They condemn such campaigns and assert that its "proponents have provoked deep divisions among students and have created an atmosphere of intolerance and hatred." 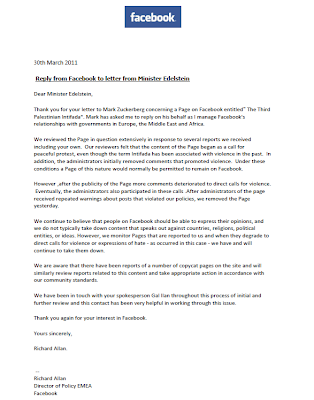 We are copying this letter to the heads of many of those organizations. Finally, we believe that this event may be in violation of Title VI of the 1964 Civil Right Act. As you probably know, there has been a recent change in the interpretation of Title VI by the Department of Education's Office of Civil Rights. Now, under Federal law, anti-Semitic animus on campus is comparable to other forms of bias and must be aggressively combated by the university administration. The Office of Civil Rights has already opened two investigations of possible Title VI violations at the University of California. One of the complaints, submitted by one of us, argues that university funded/sponsored events that are virulently anti-Israel have created a hostile environment for Jewish students at the University of California Santa Cruz, in violation of federal law. For the reasons we have outlined above, we urge you to publicly announce that you are withdrawing all Hastings College of the Law funding and sponsorship of this event, as well as your own participation in it. LITIGATING PALESTINE: CAN COURTS SECURE PALESTINIAN RIGHTS? Occupation and the High Court"
in the Face of an ‘Inconvenient’ Forum"
Prospects of Success and Perils of Failure"
Israel's Violations of International Law"
How Do You Define Colonization? I say all the time that American Jews have supported the settlement project...When Israel disappears as a Jewish state-- an inevitability of the unending colonization project-- it will be these fools who the American Jewish community will then turn on. Just to be clear, when you write: "When Israel disappears as a Jewish state-- an inevitability of the unending colonization project-- it will be these fools who the American Jewish community will then turn on. ", how do you define "colonization"? Is it a liberal, progressive definition of, say, beyond the 1967 borders? Or do you accept the Arab demand for a return to the 1949 borders? Or is one to accept the Arab demand that all of Zionism is colonialism? What is the beginning of that "unending project"? Elitzur Ramle beats Paris Arras 61-53. Then we proceed to the new month prayer in the ancient Shalom Al Israel synagogue in Jericho. A bus leaves Jerusalem at 6:30 AM. 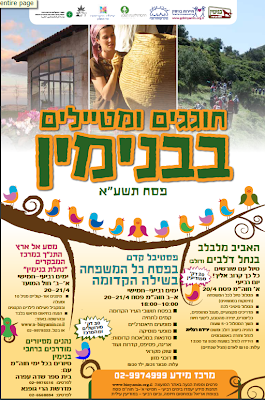 A lift can be arranged with Yoni (tel 052-3527313) from Petah Tikva, via highway 5 and Tapuah Junction. Cost 25 sh for youth / students, otherwise, 50 sh. 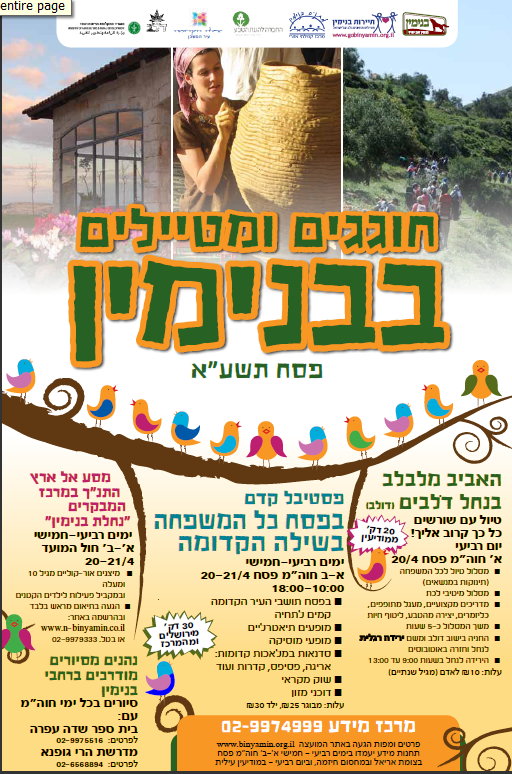 You must register in advance: Erna tel 052-8699300, or Yoni tel 052-3527313. Psssst. 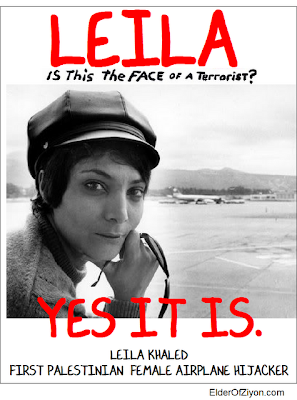 Wanna See The Face of a Terrorist? If you want to see real terrorists, females, some pretty, go here. By the way, the mistress of the orphan home in the film, you'd never know, was the sister of the Grand Mufti. You know, the guy who collaborated with the Nazis and actually managed to have the immigration of thousands of young Jews to Mandate Palestine halted. Nice brother, there, Hind. א are completed 10 units. 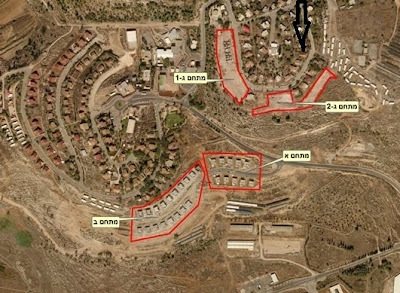 ב are 18 almost completed units. As we say, "the ____ bark and the caravan proceeds". Sarah Palin on Wednesday night hammered President Obama for not standing strongly enough behind Israel, conceding too much to the Palestinians, and interfering in a local “zoning issue” – settlement building on the West Bank. “I think there are many in Israel who would feel even more comfortable knowing that there is an even greater commitment from those who presently occupy the White House that they are there on Israel's side, and that our most valuable ally in that region can count on us,” Palin told Fox News’ Greta Van Susteren in an interview in Naples, Florida. ...Palin struck a pro-Israel tone saying, if she were president, she would take an opposite approach to Obama and stay out of Israel’s way regarding settlements in the West Bank, and take a harder line with Palistineans. Palin is asked about the fact that the Israelis have asked our help (implying that if we get help then we are beholden to the US to the extent that we shouldn't do what we want or need to do or should be allowed to do) and Palin answers: "let them build", at around 11:15. "Pesident Obama didn't want to see that allowance of building, and I would have taken the opposite approach". She adds "Israel facing concession after concession, threat after threat". I hope there's a transcript around. You can see the clip here (k/t= Cheryl Lewin). The Israel theme begins at approximately 9:40. I participated in the JCPA seminar today, this time with Dr. Boaz Ganor. Ganor's presentation, listened to by about a dozen diplomatis who attended along with some other very involved Israelis, was broad and deep. He was critical of the lack of sophistication of the American perceptions of the processes going on in the Muslim world. He suggested some ways to contend and above all, that moderate Muslim elements be involved in various programs, including a sort of 'Marshall Plan' to be funded not exclusively by the West to assure that the status quo now disrupted not go the radical/fundamentalist route. While there, I picked up a recent publication by the JCPA on Palestinian Unilateralism (it can be read here). If you go to page 22, a chapter on "Israeli Claims in the West Bank" while mentioning international legal experts who, if you take the time to read their works, make the point that Israel can base its claims also on the decisions made by the League of Nations in granting a Mandate so that the Jewish people may reconstitute their national home in the territory known then as Palestine, nevertheless new works, such as the tome of Howard Grief are missing and in essence, the pre-1967 history is lacking. This, I think, is an error by the authors (and other JCPA experts) if only because the Arab counter-claim is all pre-1967! A Hastings woman is in critical condition Wednesday night following a 3 car crash east of Hastings Wednesday morning. 58 year old Janice O'Neil was involved in the wreck at J Street and Gunpowder Road. Adams County Sheriff's said a vehicle headed north failed to yield and collided with an eastbound pickup. The pickup spun around and hit a westbound Durango. Yes, J Street all the way. Last night, Shlomo Harari appeared on the Channel One TV late-night news diary program, "M'Hayom L'Machar" and informed a startled Dudu Witztum, the moderator, that Jerusalem is the next target of Gaza rockets. Accurate or not, I think Israel should be prepared. However, the rumor that Israeli scientists are working on a method of creating a tsunami wave and then channeling it at a specific beach target, like Gaza, is just that, a rumor. But I understand that some of the researchers are claiming that even if it is innaccurate, it would fall under the definition of "proportionate response weapon". Or is it still Purim? This just in from IDF spokesperson. C-704. 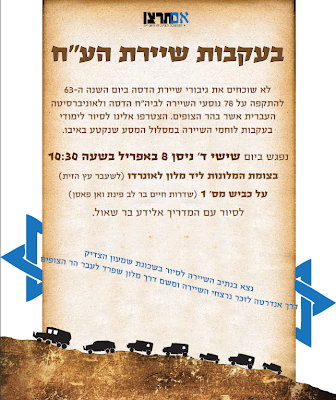 The same coaltion that began an advertising campaign to urge Benjamin Netanyahu to distance himself from Ehud Barak, is now promoting a protest convoy fvrom Itamar to Jerusalem to Beersheva. 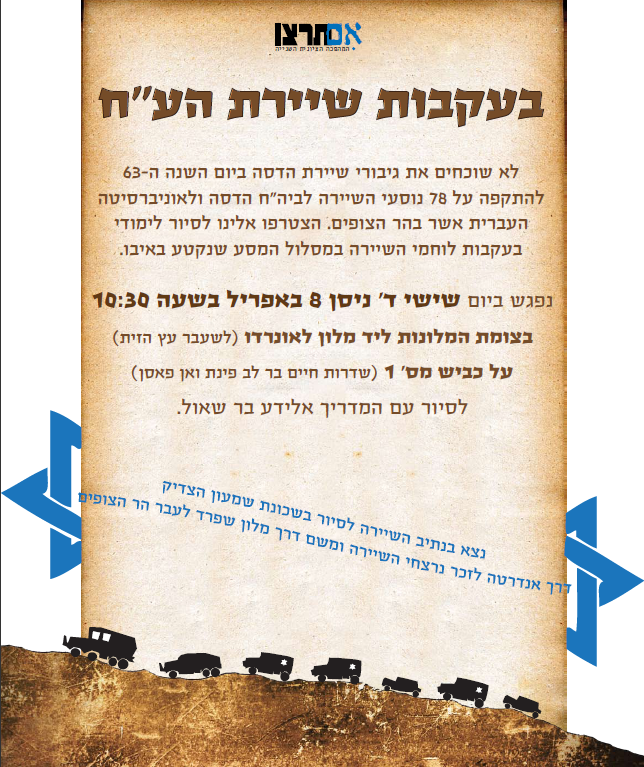 Leaving Itamar at noon today, it'll go through the Hizma checkpoint, Yirmiyhau Street, Binyanei HaUmmah, Latrun, Masmiya, Bet Kama and Beersheva. The slogan: The Likud Government Must Separate from Ehud Barak. 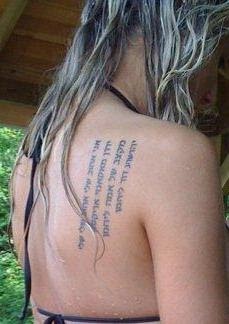 Remember my Sarah Palin 'Star of David' post? 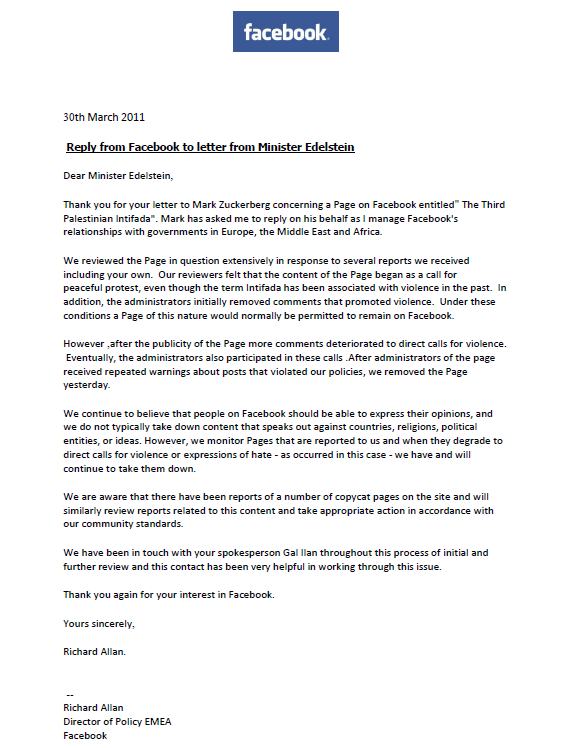 Some American Jews, like Rabbi Jeffrey Falick of TheAtheistRabbi.com, feel that Palin is merely in Israel "for her own gain, unrelated to the best interests of Jews, Palestinians or anyone else in the region." Falick, for one, wishes that Palin would "take off" the star. The Atlantic blogger Andrew Sullivan posted a response from a reader echoing Falick's sentiments: "I don't know if there [are] rules about this, but as a Jew, I find it offensive that Sarah Palin is out wearing a Star of David." The Washington Post got up a slideshow of politicians at the Western Wall but Palin went to the tunnels, not the outside wall and she went to see the "cornerstone" element, not the regular "take-my-picture-at-the-wall" visit. Which is indicative of a depth of feeling and identification that is different. Some scholars say early versions of the Bible featured Asherah, a powerful fertility goddess who may have been God's wife. Research by Francesca Stavrakopoulou, a senior lecturer in the department of Theology and Religion at the University of Exeter, unearthed clues to her identity, but good luck finding mention of her in the Bible. If Stavrakopoulou is right, heavy-handed male editors of the text all but removed her from the sacred book. What remains of God's purported other half are clues in ancient texts, amulets and figurines unearthed primarily in an ancient Canaanite coastal city, now in modern-day Syria. Inscriptions on pottery found in the Sinai desert also show Yahweh and Asherah were worshipped as a pair, and a passage in the Book of Kings mentions the goddess as being housed in the temple of Yahweh. 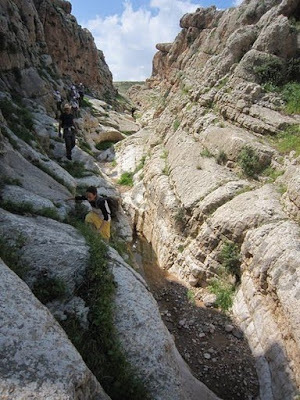 J. Edward Wright, president of The Arizona Center for Judaic Studies and The Albright Institute for Archaeological Research, backs Stavrakopoulou's findings, saying several Hebrew inscriptions mention “Yahweh and his Asherah." He adds Asherah was not entirely edited out of the Bible by its male editors. "Traces of her remain, and based on those traces... we can reconstruct her role in the religions of the Southern Levant," he told Discovery News. ...Aaron Brody, director of the Bade Museum and an associate professor of Bible and archaeology at the Pacific School of Religion, says the ancient Israelites were polytheists, with only a “small majority” worshipping God alone. He says it was the exiling of an elite community within Judea and the destruction of the Temple in Jerusalem in 586 B.C that lead to a more "universal vision of strict monotheism." וַיָּקֶם מִזְבְּחֹת לַבַּעַל, וַיַּעַשׂ אֲשֵׁרָה כַּאֲשֶׁר עָשָׂה אַחְאָב מֶלֶךְ יִשְׂרָאֵל, וַיִּשְׁתַּחוּ לְכָל-צְבָא הַשָּׁמַיִם, וַיַּעֲבֹד אֹתָם. Seems to me Asherah is very prominent and well-known in the Bible. So what's the big deal? Does one have to possess weird theories to be famous? And That Bombed Bus Was Headed Where? Katzav's Line of Appeal: The Gladstone Defense? Washington Post Does The Math - Or Does It? Now We Have The "Sarah Palin Mystery Tour"